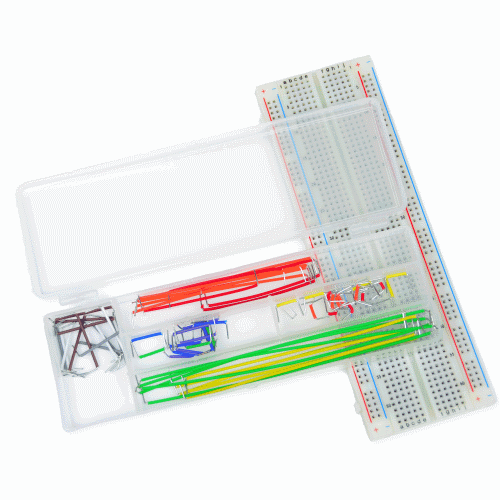 This complete kit includes everything necessary to build an operational and programmable microcontroller circuit including a 830 point breadboard and jumper wires. 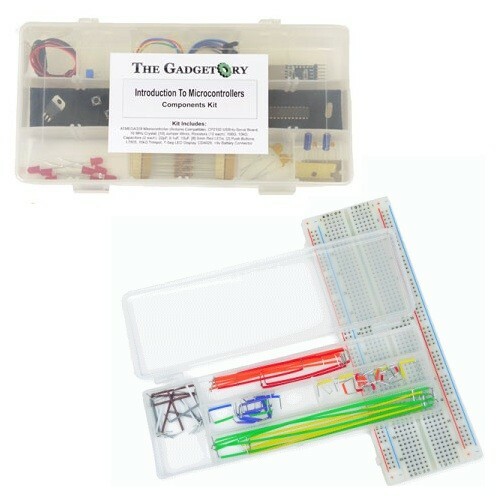 The components kit includes a wide variety of parts like: capacitors, resistors, LEDs, crystal oscillators, a microcontroller and a usb to serial converter. These parts are meant to be used with the PyroElectro.com's 'Introduction to Microcontrollers' course, which teaches the basic theory behind microcontroller electronics, and shows you how to use these parts to build cool circuits.